iPod dock is just the trick for those who want tunes on the go. Yes, it can be plugged in to a power point, but its real party trick is the solar panel that can be used to power the device, via its Lithium-ion battery. 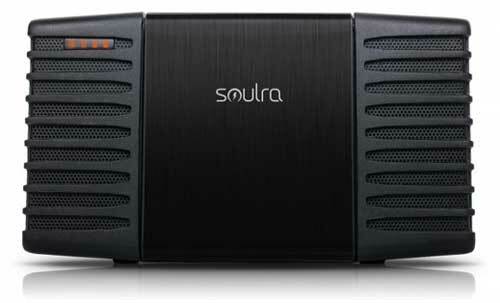 Using the solar panel, the battery will fully charge in 10 hours, and provide 4 hours playback at medium volume. 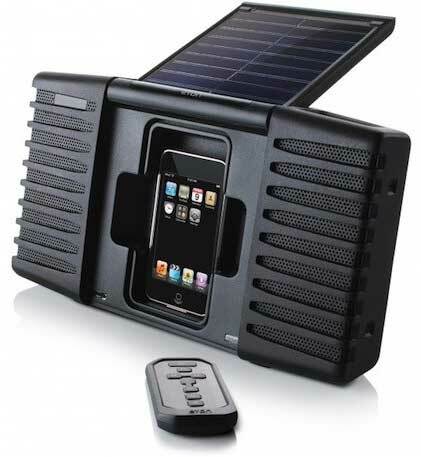 The solar panel doubles as the cover for the iPod Touch or iPhone sitting in the dock, helping the Eton Soulra gain its IPX4 splashproof rating. iPod dock can be found at online stores for $199.